Clients typically hire lawyers by word-of-mouth recommendations, without really knowing the ability and experience of that lawyer. Many lawyers will undertake cases in areas that they do not know or do not regularly practice. It is common for many personal injury lawyers in South Florida to take on cruise ship boating and other maritime injury and death cases, without understanding general maritime law and Federal court practice and procedure. It is a complex area of law. Only an experienced Miami cruise ship attorney should represent you. Florida law requires for you to file suit for legal malpractice within two years from the date that you knew or should have known that your lawyer committed malpractice in your case. Did you know that in Florida you have four years to file suit for personal injuries, but only one year to file against most cruise lines? Did you know that the cruise lines require you to give differing notice periods (6 months, 180, or 185 days) from the date of your incident? Did you know that the cruise lines will use these periods against you if you fail to give proper notice or even mail the notice to the wrong address? Inexperienced lawyers often miss these requirements. An experienced Miami legal malpractice lawyer knows when your case was mishandled by an inexperienced lawyer. Holzberg Legal has been representing victims of cruise ship injuries including medical malpractice by cruise ship physicians, for over 25 years. We know the cruise lines practices, requirements, their adjusters, and in-house lawyers, as well as all of the defense firms they routinely hire. As experienced legal malpractice lawyers in the cruise ship industry, we know how your case should be handled. 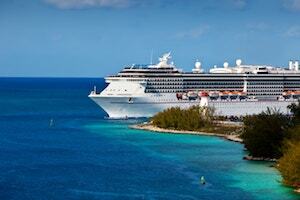 Hire an experienced Miami cruise ship legal malpractice attorney. Call me, Glenn J. Holzberg, directly to discuss your case.